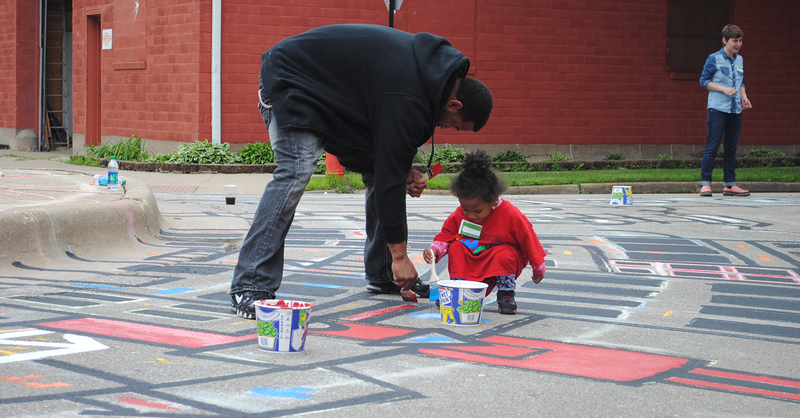 Using small-scale placemaking to drive incremental implementation of your local Main Street effort is an effective way to empower community members and create a more action-oriented program. In this week’s Main Spotlight, Main Street Iowa Coordinator Michael Wagler provides strategies on how to get started, offers inspiring case stories of programs across the state that are demonstrating impact and change through placemaking activities, and outlines tips for creating an action-oriented culture. This article was originally published in the 2019 edition of State of Main. Michael Wagler is the Main Street Iowa Coordinator at the Iowa Economic Development Authority’s Downtown Resource Center. Michael has worked with the Main Street Iowa team in different capacities since 2002. Prior to becoming the State Coordinator in 2012, he served Iowa’s downtown districts as a Main Street Design Specialist. He began his Main Street journey in 1996 by investing his time and talents with his hometown Main Street program, Bloomfield, Iowa. Michael has also worked in a consulting role in states throughout the nation including: Oregon, New Mexico, and Wisconsin. He earned a B.F.A. in Historic Preservation and Architectural History from the Savannah College of Art & Design in Savannah, Georgia. Michael earned his Master’s degree in Community & Regional Planning from Iowa State University in Ames, Iowa.